Why use a Mirror with Lights? Lighting may be one of the most important aspects of illuminating the face, especially when it comes to the application of makeup. Have you ever had your pictures taken by a professional photographer? Remember how intense they are about lighting, the time of day, light reflection and so on? This is because THEY know the importance of proper lighting! Lighting can help illuminate the skin, may be able to help hide imperfections and can alter the end result if you are taking pictures. Lighting is especially important if you are a professional (make-up artist, instagramer, youtube creator, professional photographer and so on). But even if you don't fit those categories you can still benefit from proper lighting because it can help you take pictures and get a more even application of your makeup. Helps visualize hyperpigmentation or areas where coloring is "off"
So how do you solve the issue with poor lighting and picture taking? The first is to illuminate your mirror with lighting around the base. 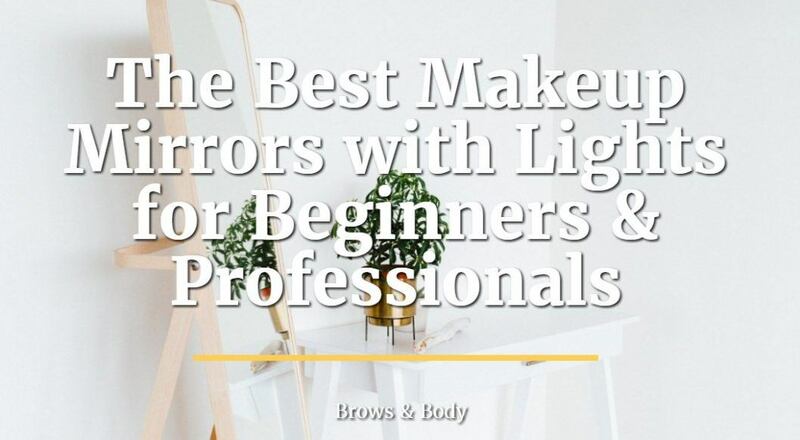 The second is to leave your mirror alone and purchase other products such as ring lights which you can use in addition to whatever lighting you have in place. One is not necessarily better than the other, but you should consider each based on your individual circumstances. 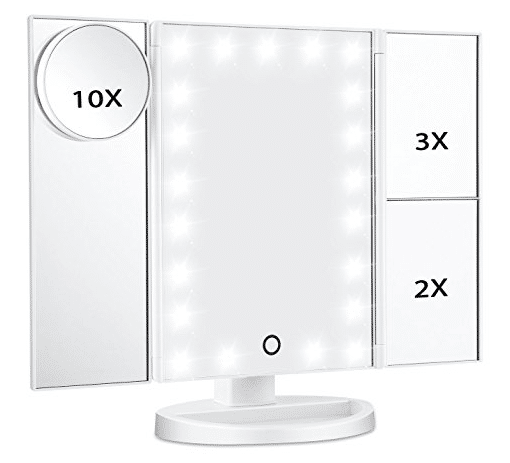 The pricing for makeup mirrors with lights can vary from $20 up to $200. The cheaper products tend to have less options and don't tend to have the best quality lights. The higher end products tend to come with a combination of both natural and white lighting which you can change with a click of the button (my personal favorite). Why would you want both colors? Natural sun lighting may help you to know what your face will look like under "normal" conditions. White lighting on the other hand may be better if you want to take a selfie or want to film yourself. White light adds a more ethereal look which makes your pictures stand out and capture attention. This option has natural lighting and a smart touch screen that you can change the color from natural to white light. It contains 12 LED bulbs which means that it should have NO problem adding a significant amount of light to your current vanity, bathroom or bedroom. It's also quite large coming in at 19 inches by 14.5 inches which makes it great for viewing more than just your face and for taking pictures. This option is much cheaper than the first version but not quite as powerful or as big. It's not ideal for professional use or if you want to do videos, but it works great if you are only interested in your own personal makeup. It comes equipped with mirrors that help magnify up to 10x (and also includes views with 3x and 2x magnification). It also has LED lighting and is very compact and is therefore portable! Both options work well and one is not necessarily "better" than the other - instead try to find something that works for your budget and for what you plan to use it for. What if you want to add mirrors to your existing set or what if you just want to make your room look good? If you fall into this category then you can make your own vanity by purchasing and placing your own lights on an existing mirror. This DIY project runs around $150 but will take a lot of time as well (so don't forget to factor that in!). If you have plenty of time on your hands and want to spruce up your room then this may be the best option. It all comes down to taste! If you fall into the list of professsionals (see list below) then perhaps the best (and most affordable) option is to get a ring light. The list of people who would benefit from using these types of list goes on and on, I've just included some of the most common professionals. If you create content, take pictures or if you rely on before/after pictures for marketing and for your living then you'll need to invest in some sort of equipment to help produce high quality images. So why use a ring light? Ring lights are ideal, especially for beginners, because they are cheap, easy to move around and very effective. 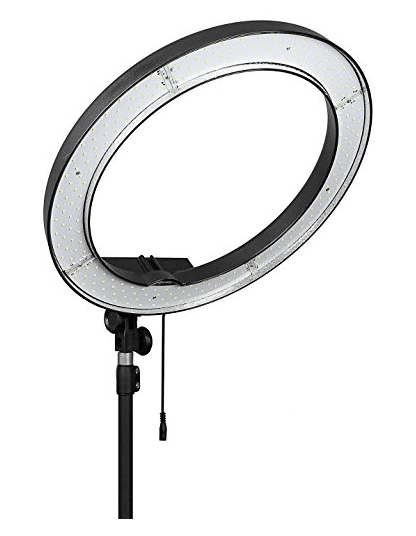 While ring lights are great for beginners they may not include all of the essentials that some professionals need. The lighting may not contain the perfect balance of white and yellow to mimic natural sun light. This may change how warm or soft the lighting is, especially if you are a stickler for perfection. It may also turn the skin a slight orange-ish color with some make up and colors. This shouldn't be a problem for 90% of people, but it's worth knowing if you stick to very high end production. Once you add extra lighting to your mirror you will never go back. It's one of those things that you don't know how valuable it is until you have it! If you only want it for makeup then you should be good to go using a basic mirror with lighting. If you are a professional needing to produce high quality videos or images such as before/after pictures then a ring light may be better for your situation. What lighting have you used and what worked best? Have you used any other tricks to help improve your lighting when doing makeup?